The College of Science, Technology, Engineering & Mathematics (STEM), provides studies for students in the areas of agriculture, astronomy, biology, chemistry, computer science, engineering physics, engineering technology, geosciences, information technology, mathematics, medical technology, radiologic technology, and physics. Our outstanding, discipline-based programs are student-centered and designed to prepare students for responsible positions at all levels of research, industry, education, medicine, and government positions. Which Major is Best for Me? Students in Austin Peay's College of STEM usually aren't sitting still for very long. When our students and educators leave the classroom, they're launching ballons to the edge of space, landing prestigious fellowships and studying wasps at Disney Epcot’s 2.5 million square feet of greenhouses. The common thread between all our students is how they've been able to use their individual experiences to make a quantifiable change in the scientific landscape. 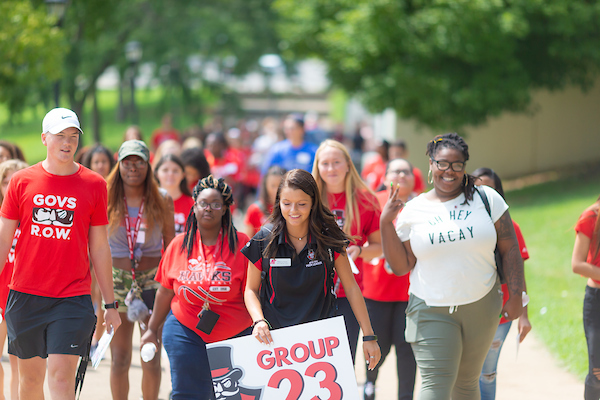 When you come to Austin Peay, you'll be able to work closely with your professors daily on research projects, field work and professional development to make sure you are well prepared to enter the workforce. All of our nine academic departments boast doctoral-trained faculty with decades of combined experience who are dedicated to making each class experience worthwhile. The department, including faculty offices and classrooms, is housed in the Sundquist Science Complex. The department currently has four full-time faculty members and three adjunct faculty members, with approximately 250 agriculture majors including those in the pre-professional programs. The department oversees the 440-acre Farm and Environmental Education Center, which is located three miles from the main campus which has a $1.2 million Animal Science teaching facility. Through APSU's Department of Allied Health Sciences, you can prepare for in-demand healthcare careers in medical laboratory science, radiologic technology, radiography, radiation therapy, nuclear medicine, and sonography. Austin Peay State University’s Department of Biology provides an intellectual and motivational environment for career development in many areas of biology. Students can pursue training in field biology, botany, zoology, animal and plant physiology, microbiology, molecular genetics, and environmental assessment. The Department of Chemistry at Austin Peay State University is nationally certified by the American Chemical Society, devoted to student success, and prepares students for a wide variety of career options. Our mission is to educate students to independently and critically think, apply chemical concepts and principles to better understand the scientific world, and help them to become scientifically literate. We use innovative pedagogical and research strategies to engage students and cultivate a passion for chemistry and scientific learning. Computer science is one of the fastest growing fields in the modern world. At APSU's Department of Computer Science and Information Technology, our published faculty and over 15 years of experience guarantee that you will be prepared for any computing field with one of our many undergraduate degrees and graduate degrees. Engineering Technology is a science that is centered on individuals who want to be an engineer, but at the same time want to be able to be involved in the actual manufacturing or implementation of the items they modify or design. It is a field that challenges the abilities of anyone who has dreamed of becoming an engineer or technologist. Currently the engineering technology department at APSU has six bachelor of science and four associates concentrations. The Department of Geosciences offers a Bachelor of Science in Geosciences with four concentrations that prepare students for working in a diversity of Geoscience specialties such as the geological sciences, environmental hazards, geographic information science, and global environment and development. In addition, we also offer minors in Geology, Geography, GIS and Water Resources Management. The knowledgeable and friendly faculty of the Department of Mathematics at Austin Peay are dedicated to providing a quality education in mathematics. The study of mathematics enhances critical thinking skills and provides an excellent background for a career in most any field, including science, engineering, education, law, and medicine. The APSU Physics Major is versatile enough to provide superior preparation for graduate study or a career in a wide variety of physics-related disciplines, from Astrophysics to Engineering to Medicine. Its large selection of major electives allow the student to tailor the major to exactly the career path in which they are interested. Austin Peay has been wonderful to me; they’ve provided me with everything I needed and I think, academically speaking, I’ve been able to learn everything I could need to learn by choosing to come here. I’ve always had a love of computers, and after I began to research the degree offerings at Austin Peay, it just made me sure that this was the place I needed to be. I love being part of a dynamic and diverse university environment that takes students from all backgrounds and helps them achieve their goals. I had this fear that students from bigger schools would be ahead of me, but what I quickly realized was that we were covering things I had already learned because I had been prepared by Austin Peay. I think every kid thinks about going away for college, but when I visited Austin Peay, I fell in love with this place and its opportunities. I enjoy getting to know my students and helping them to discover both their strengths and weaknesses. It is rewarding to help an individual improve and overcome challenges. Austin Peay has treated me way better than I ever thought it could have, and if I had to do it all over again, I’d still choose to go to this University. 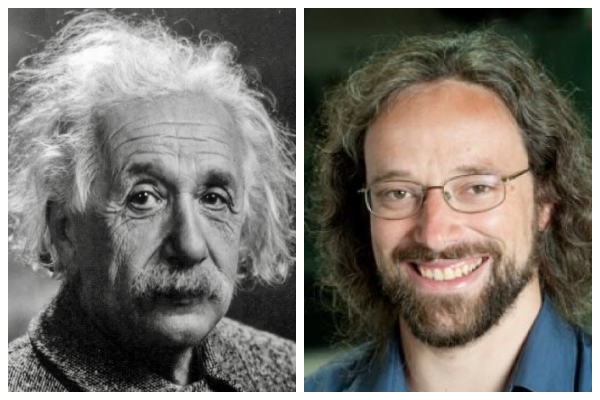 New York University history of science professor Dr. Matthew Stanley will visit Austin Peay State University on April 22 to deliver a lecture on "Albert Einstein's War: How World War I Made Relativity." He'll also plant a space gummy tree at noon on campus - Monday also is Earth Day. 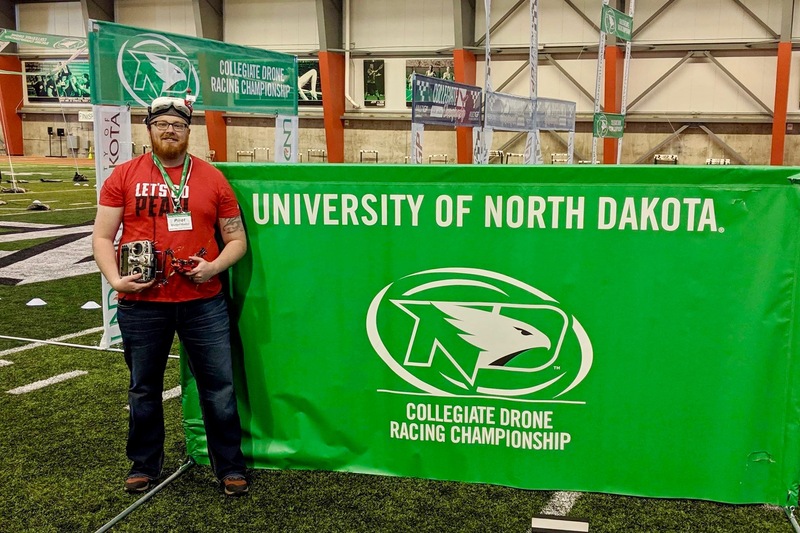 Michael Hunter, lead pilot for The Drone Club at Austin Peay, finished 22nd overall and sixth in his bracket at the Collegiate Drone Racing Association nationals - in the school's first season of competitive racing. For years, students living outside of Tennessee paid about $11,000 per semester, but a new rate cuts that amount to just under $6,200 for 12 credit hours. They are among five from Tennessee and 51 from the United States and Canada who will travel to Africa this summer to help universities in Ghana, Kenya, Nigeria, South Africa, Tanzania and Uganda. You need only a few minutes with Brinna Lavelle to know why she’s a world-class judo athlete who represented Team USA and Austin Peay State University in Brazil in July 2018. Her attitude might be more powerful than her hip throws.